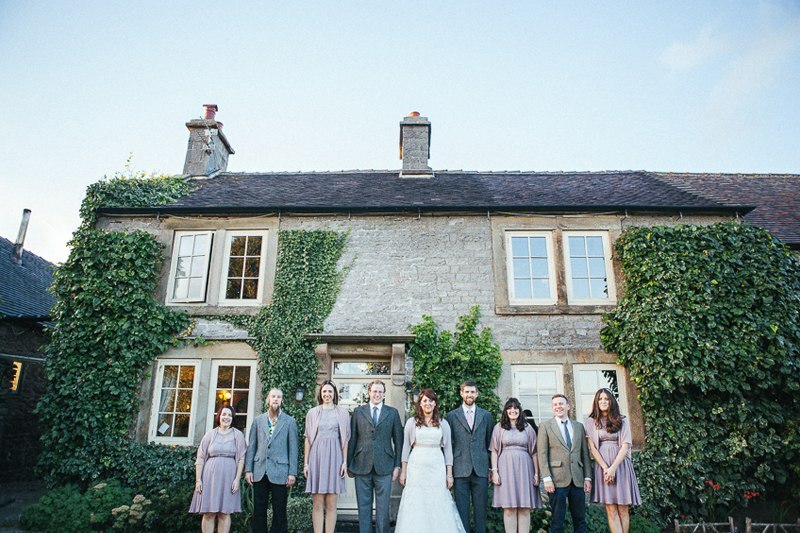 It was the perfect sunny day for Karen & Simon’s Beechenhill Farm wedding in September. 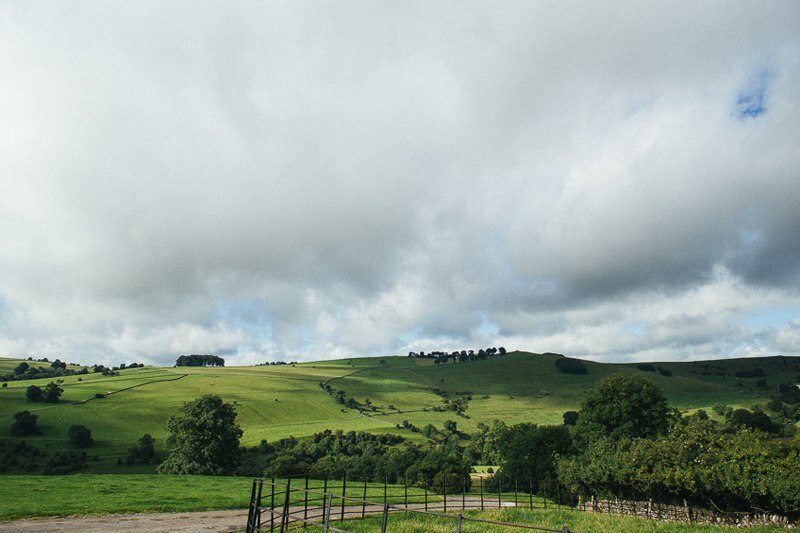 Situated in Ilam in Staffordshire, we were surrounded by the amazing picturesque views of the Peak District. 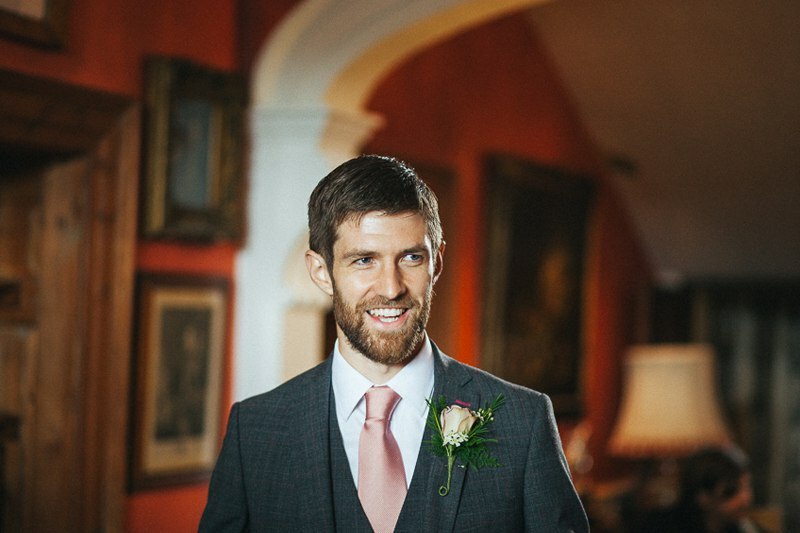 Karen & Simon’s ceremony was set in a grand Georgian town house, at Castern Hall not too far away from their barn reception. 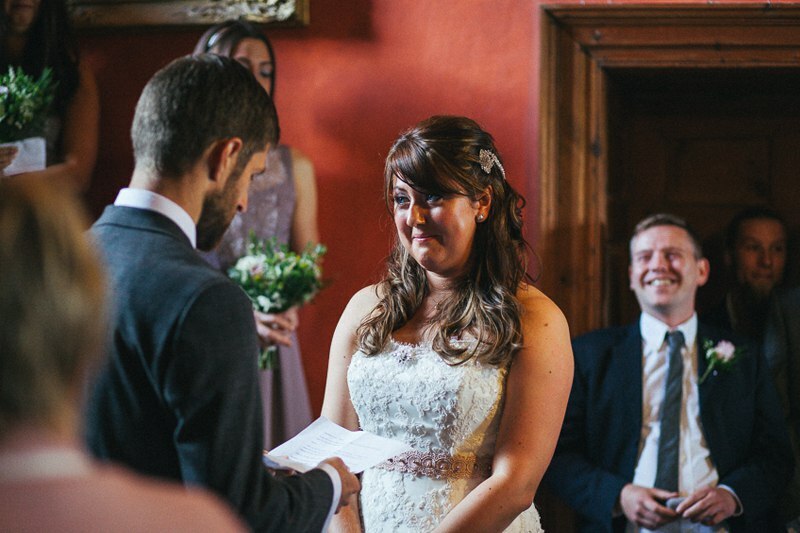 There wasn’t a dry eye in the room as guests watched them exchange their personal vows to each other. 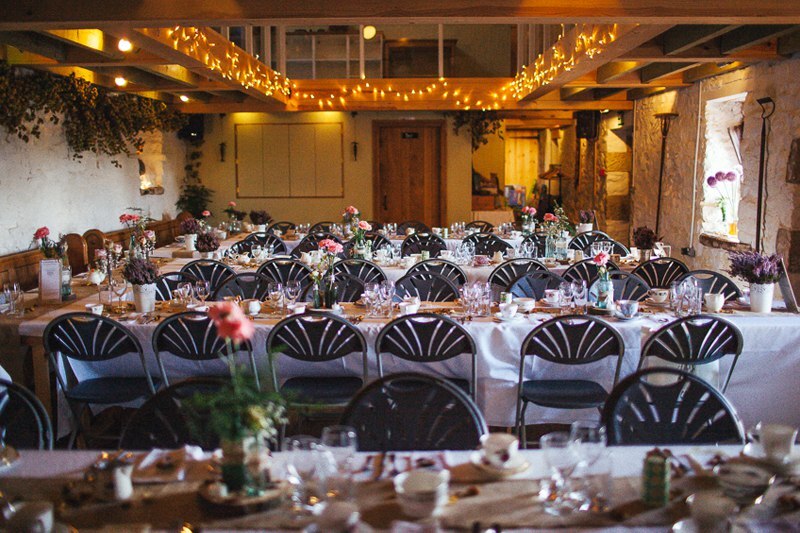 Their barn reception at Beechenhill Farm had a rustic country theme. 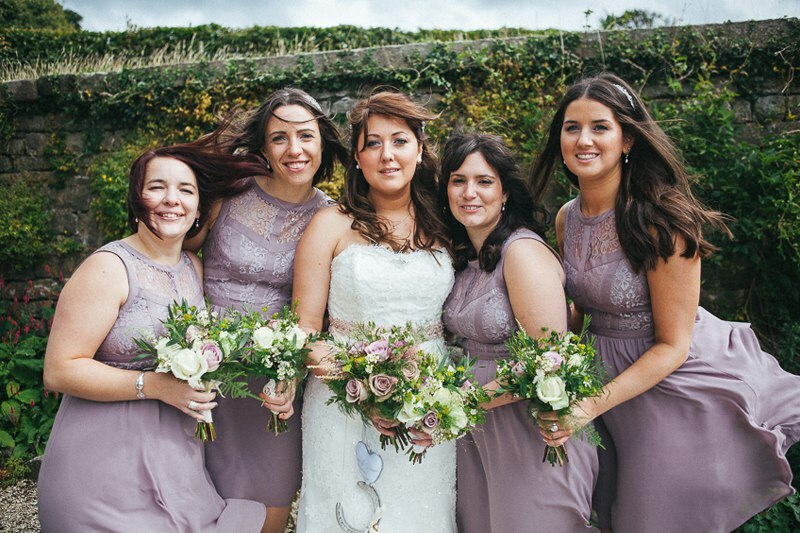 The room was decorated with a mixture of bottles filled with fresh flowers and heather, a DIY map table plan and vintage china as well as hessian table runners spread across the tables. 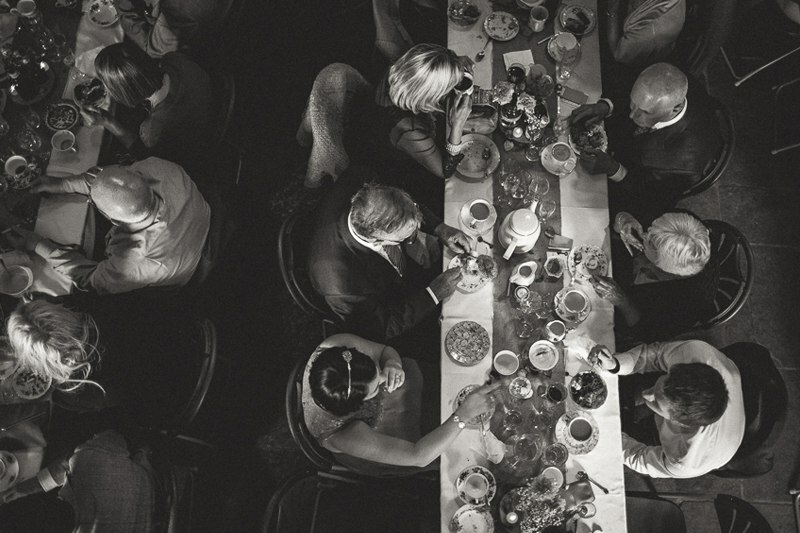 At the far end of the room, an arrangement of cakes and brownies supplied by guests were displayed. Karen & Simon later hosted a ‘bake off’ competition by awarding prizes for the best cakes. We thought this was an amazing idea and guests were pleased with the different alcoholic prizes! 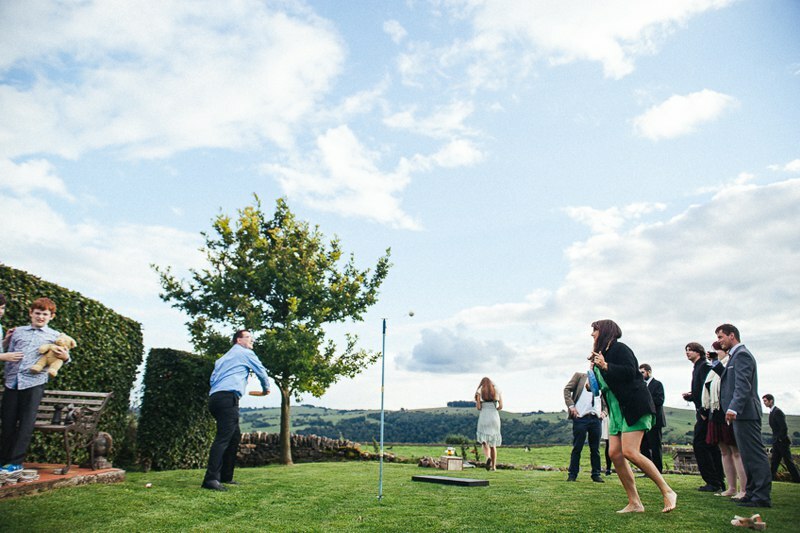 After the meal, guests enjoyed various garden games from giant with one favourite being “welly wanging.” Everyone took turns to throw wellies the furthest into the field. It was great fun to photograph and certainly got everyone laughing! Before the evening took off, we spent a quiet moment at the side of the farm house to capture that the most amazing sunset with Karen & Simon. 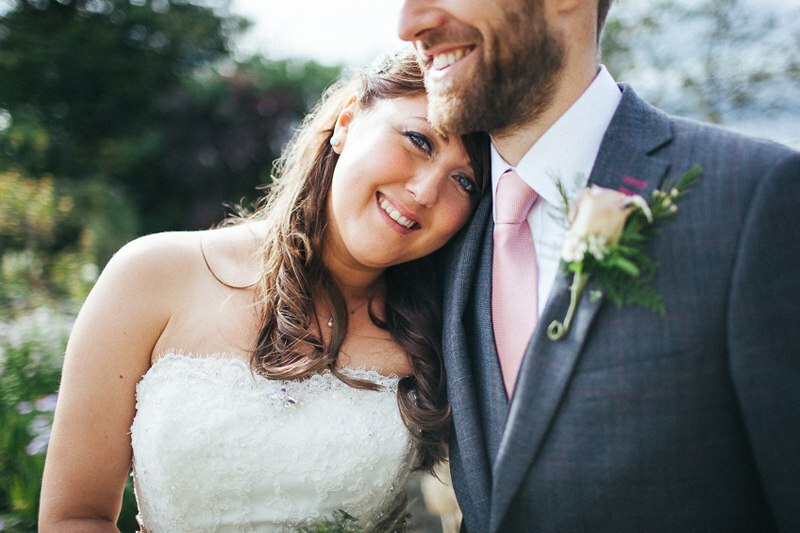 What an amazing day we had and such a pleasure photographing such a lovely down to earth couple.